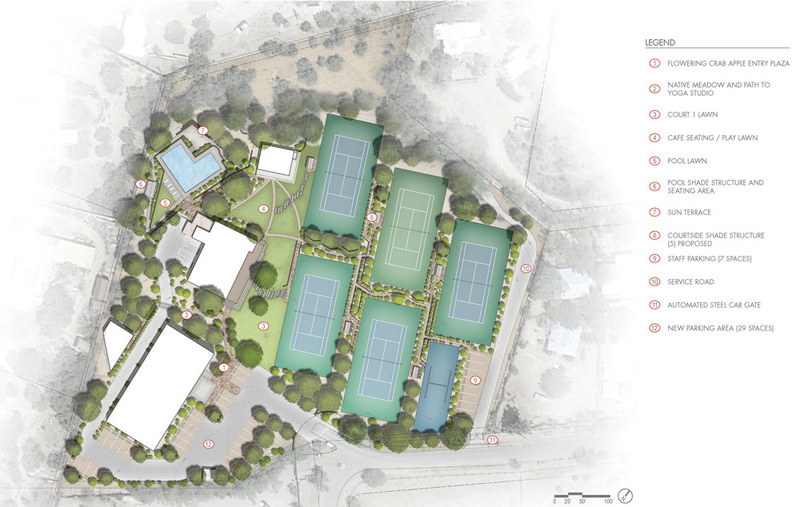 Sited in a wind protected valley within the Sangre de Cristo foothills, the Santa Fe Tennis Club (formerly Sangre de Cristo Racquet Club) has long been a local's favorite place to play tennis. After years of disrepair and the property going into foreclosure, a new owner with a refreshed vision for a new club purchased the property in 2013. Surroundings was hired to develop a landscape master plan to address some of the complex issues from long time neglect. As landscape master planner, we developed an analysis of the property from examination of fencing and site barriers, hydrology, as well as creating new shade structures for the tennis courts. 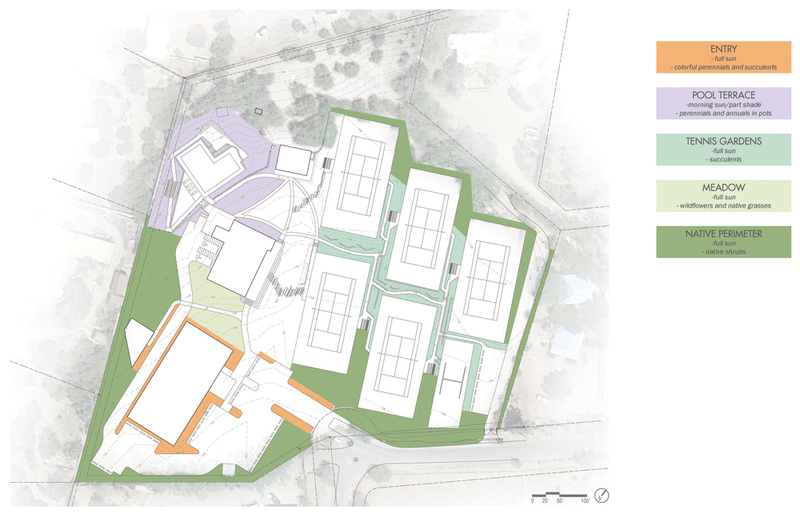 Surroundings also created a new conceptual framework for planting palettes, seating areas, parking and drop-off areas, and pathways that could both preserve the historic quirks of the site, but also simultaneously modernize the facility for players and spectators alike.